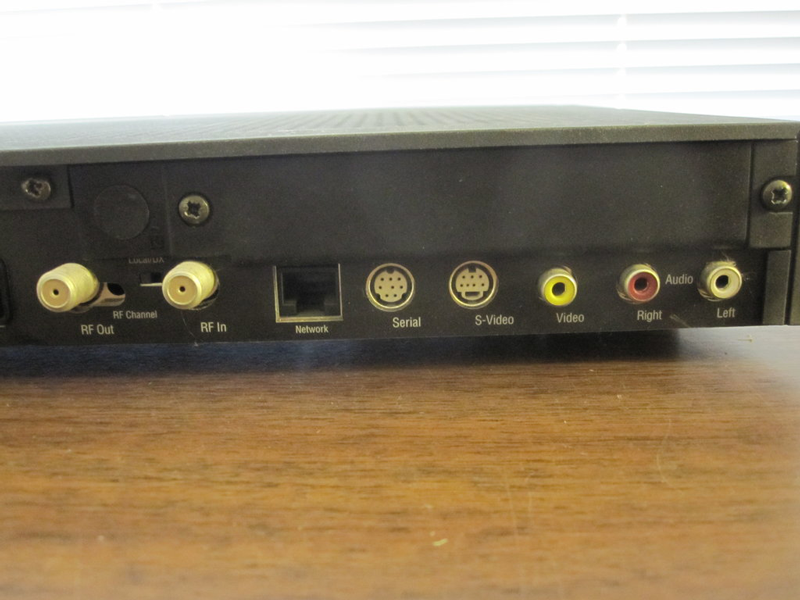 A rare relic from Apple's past surfaced this week, when a prototype Apple Interactive Television Box from 1995 —a primitive device tested more than 10 years before the release of the Apple TV —was sold on eBay for $46. 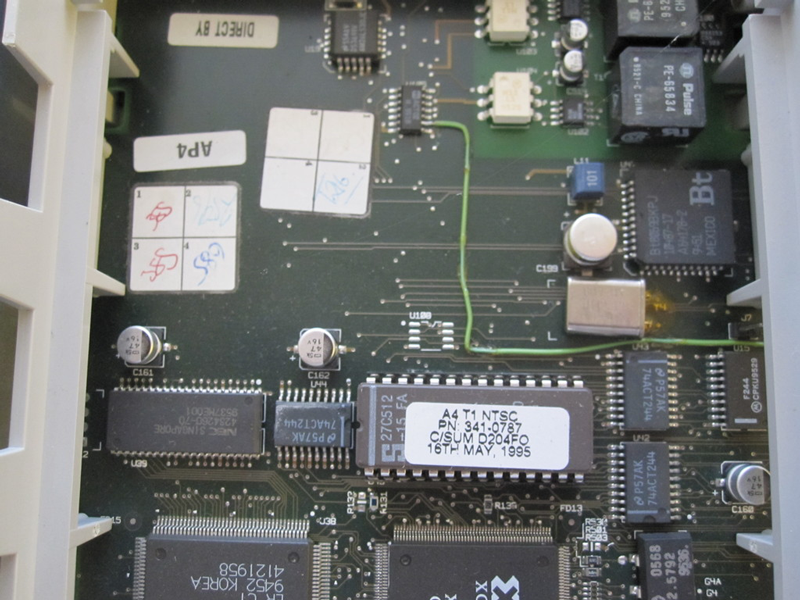 Stickers on the internal components of the Apple Interactive Television Box, which was listed for sale on eBay, show that it was manufactured in 1995. 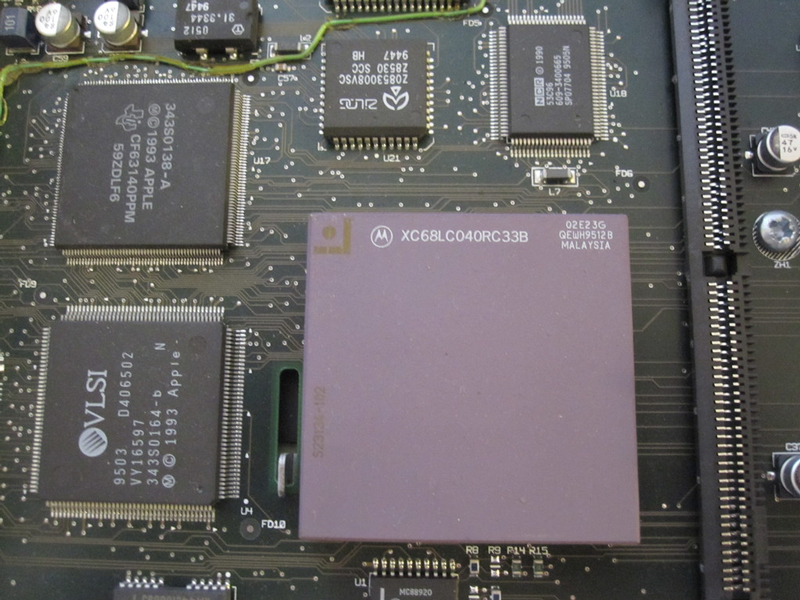 It features chips from Motorola, Texas Instruments, and the now-defunct VLSI Technology. 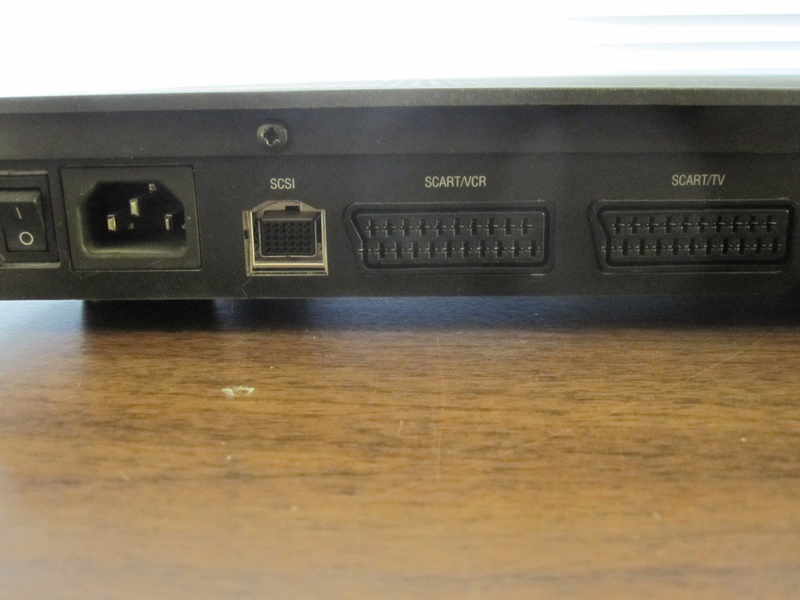 The back of the unit features a composite video and audio output, serial and S-Video ports, an Ethernet network input, and RF coaxial input and outputs. "A friend who is a former Oracle employee gave this to me in the late '90s, and I just came across it again after going through some boxes that were in storage for 10 years," the seller, "macdeals," wrote. "Does it work? I don't know. Back in the day, I kept it on a shelf as a conversation piece. It is supposed to come with a remote, but I was never given one." 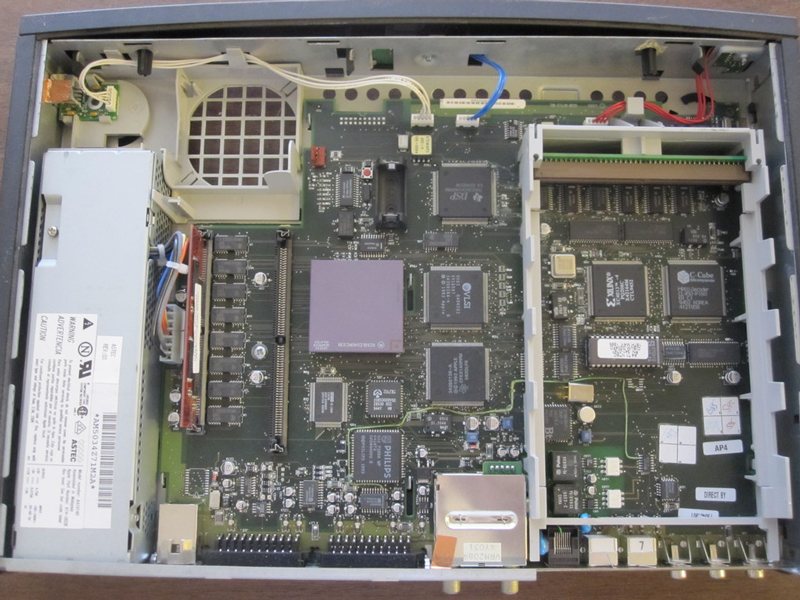 Development of the interactive TV set top box began in partnership with British Telecom in 1993, according to The Apple Museum. In 1994, the companies launched a trial of the product in Britain with about 2,500 households, followed by a six-state trial in 1995. The product was eventually canceled later that year. 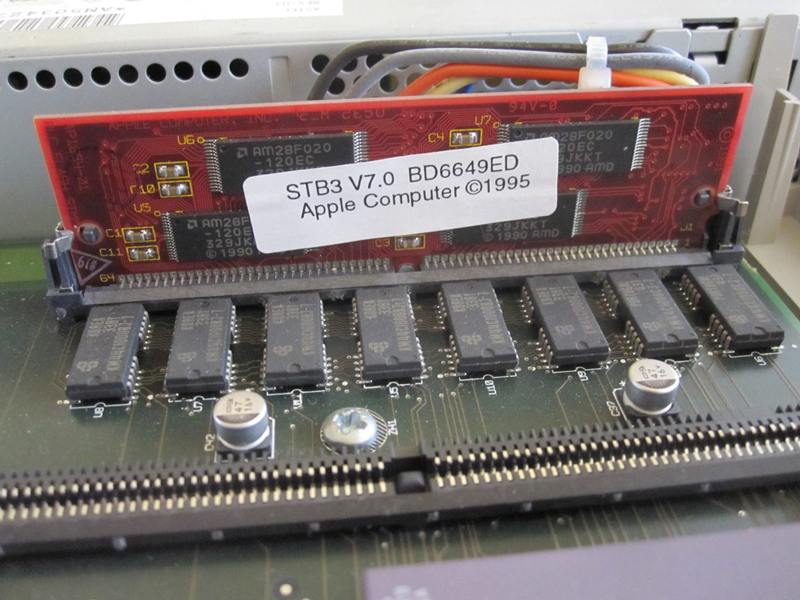 The device included 4MB of RAM, 2MB of ROM, an MPEG-1 decoder, and a operating system that was a subset of Mac OS with QuickDraw and QuickTime. The hardware was also compatible with a remote control, mouse, and CD-ROM drive. 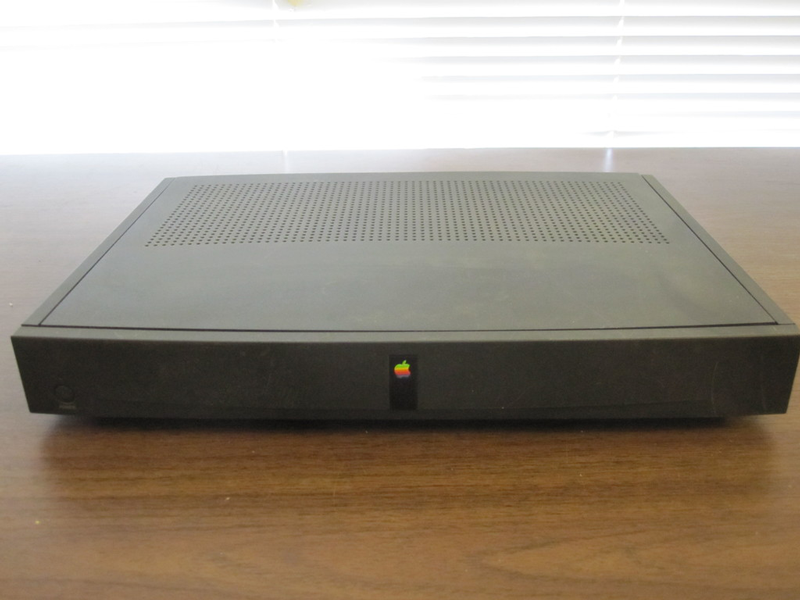 The Apple Interactive Television Box was part of a subscription data service that would allow users to connect to a server and download content to show on their TV. Apple also in the early '90s released the unsuccessful Macintosh TV, an integrated computer and TV with a 14-inch CRT display. First introduced in October 1993, the product was discontinued just a few months later in February 1994. It carried an introductory price of $2,097. The Apple Interactive Television Box was a primitive predecessor to the Apple TV, released in 2007. Since its release, Apple officials have maintained that the product is considered to be a "hobby," as the market for connected set top boxes is minuscule when compared to that of phones, PCs and MP3 players. In February, Apple Chief Operating Officer Tim Cook said his company will continue to invest in the product, because they continue to believe it has potential in the future. The market for the set top box has not grown significantly, with overall sales of the Apple TV increasing less than 10 percent in 2009 on a unit-by-unit basis. But some have predicted that Apple could turn its device it could turn to the HDTV market by including the Apple TV software in a large-screen display. One analyst has maintained that Apple will introduce a connected HDTV capable of downloading content from the iTunes store ecosystem, along with an expected iTunes TV subscription plan, in the next two to four years.